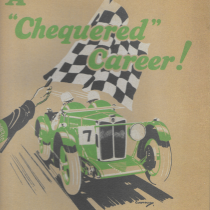 A CHEQUERED CAREER. 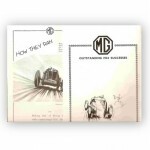 Reproduction of a rare 14 page publicity booklet written by H.S Linfield and E.C. Linfield of the “Autocar” telling the story of the Montlhery Midget racing success in the early 30′s.Includes a superb centre spread illustration by Gordon Crosby of Captain Eyston’s successful one hour at over 100mph record acchievement at the famous banked track. 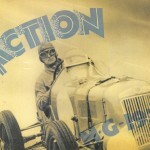 Home » Products Page » A CHEQUERED CAREER. 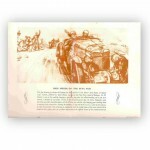 Reproduction of a rare 14 page publicity booklet written by H.S Linfield and E.C. 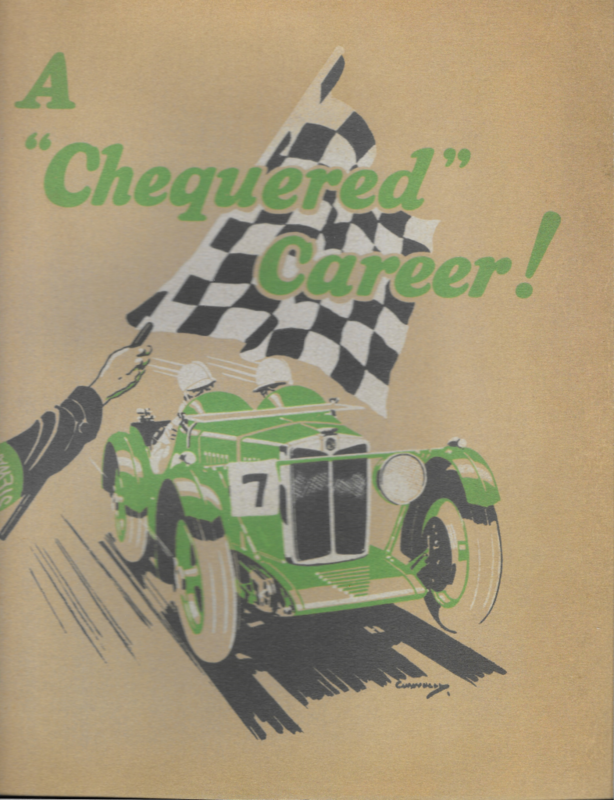 Linfield of the “Autocar” telling the story of the Montlhery Midget racing success in the early 30′s.Includes a superb centre spread illustration by Gordon Crosby of Captain Eyston’s successful one hour at over 100mph record acchievement at the famous banked track.